Here is a beautiful Jessie Willcox Smith Edwardian lithograph gleaned from a 1919 first edition of George MacDonald's allegorical classic, "At the Back of the North Wind". 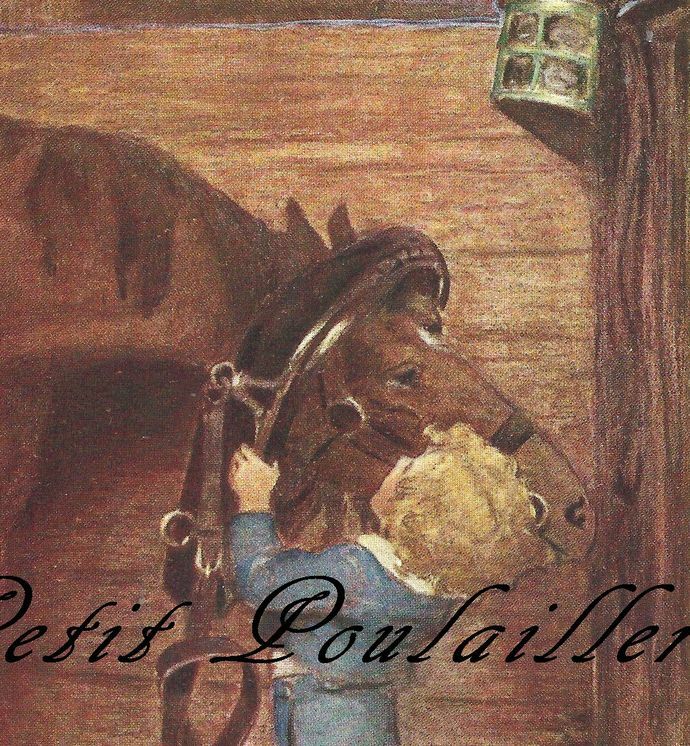 A handsome original 1919 first edition illustration from Jessie Willcox Smith features a little boy, Diamond, and his bittersweet relationship with the North Wind. 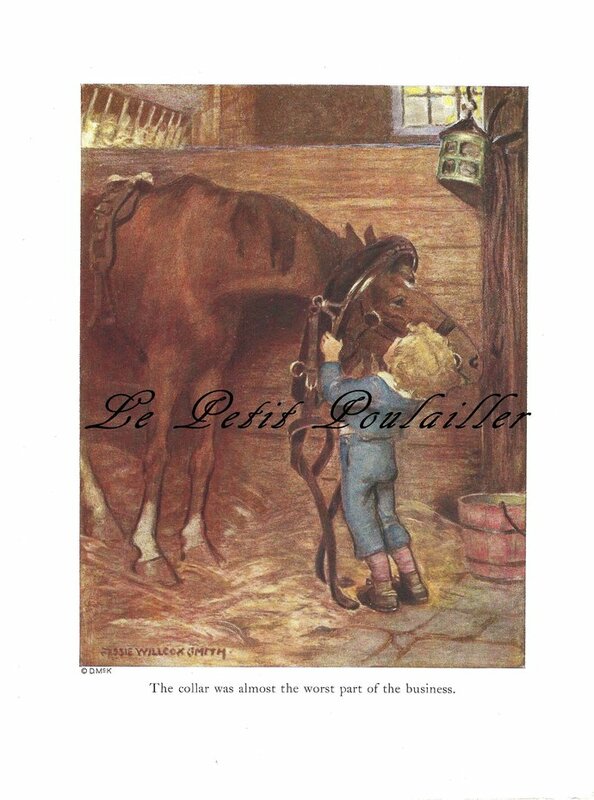 A gorgeous print to frame for your new reader's room, for your little equestrian's reading nook, a gift for the new mother for the nursery, perfect for your tag and card creations ... or perhaps this will make its way into your art.